I read a ton of food blogs. A crazy amount of blogs from all around the world covering a vast number of subjects (obviously still in food) which particularly gets me excited for new food trends and partially scared for my short comings as a blogger. But the main reason I love reading blog is the new discoveries you have while reading. I have an over flowing number of saving recipes and restaurants to try out. One of my recent triumphs is remembering a restaurant I saw on a blog and then six months later remembering not only the name of the place but what blog I saw it on. Yet can’t remember my own passwords sometimes – pfft! 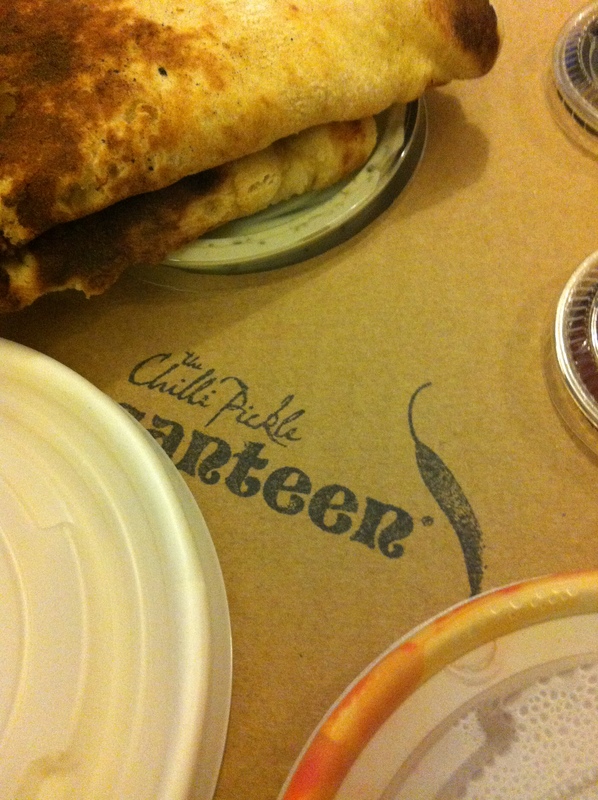 This magical place that showed off my mad memory skills – The Chilli Pickle Canteen in Brighton as recommended by the wonderful The Graphic Foodie. 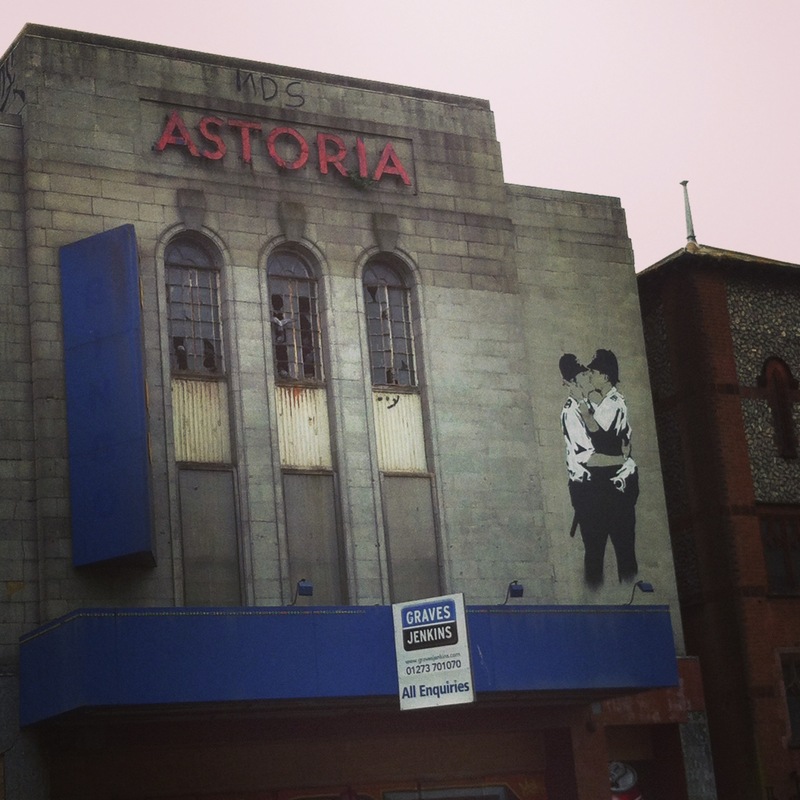 A couple of weeks ago I was in charge of finding foodie places for my new sister in law’s Hen Do in Brighton. On the Sunday evening after much party and dancing we planned to have a quite evening watching rom-coms and a take away. I this would be my chance to finally try out The Chilli Pickle Canteen. 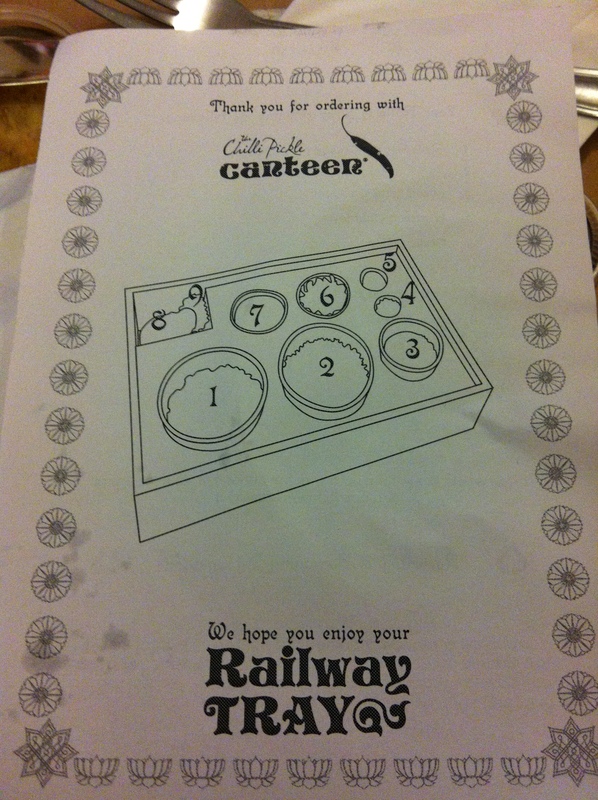 After drooling over the menu online, we placed a beast of an order of the Railway Trays, a fantastic way for greedy people to get a bit of everything. 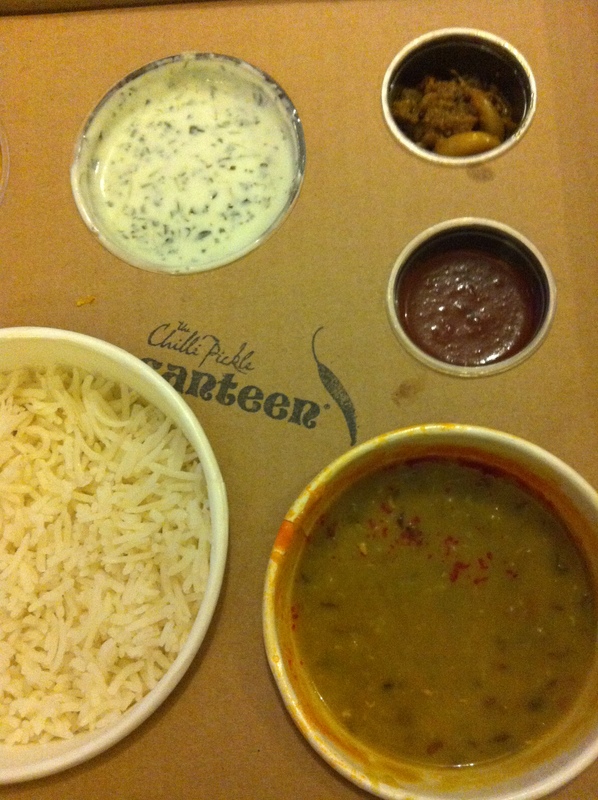 I love the idea of having a selection of pickles, side dishes and dahls to tuck into, like your own spicy lunch box. Each box comes with a handy guide to what every delicious thing was- which was rather handy! I went for the Aubergine Stew as my curry of choice – Hyderabadi aubergine curry with pickling spices, cashew nut, roasted coconut, tamarind and sesame paste. It was phenomenal. Creamy cubes of aubergine nestled in a rich fragrant sauce. Utterly delicious. The Pictures aren’t the best as I was super excited to get tucked in. 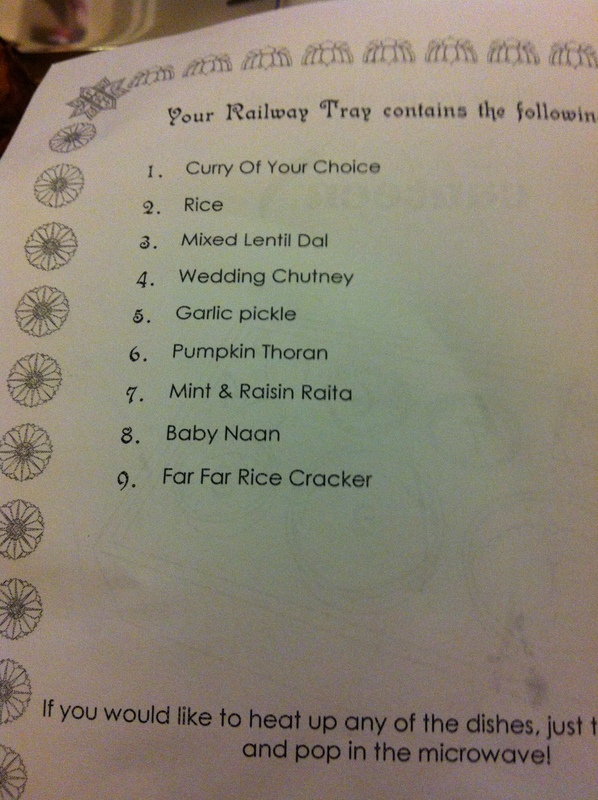 But as you can see from the list above each Railway Tray had plenty to keep us little mice quiet for a long time. The pumpkin thoran was a great revelation. Finely chopped pumpkin with tender coconut to make a great sprinkle to the steamed basmati rice. I loved the selection of pickles and my poor mum suffered being locked in a car with me for four hours the next day after eating a lot of garlic pickle! The Wedding Chutney ( appropriate for the Hen weekend) was sweet and spicy and great to dunk the Far Far rice crackers into. 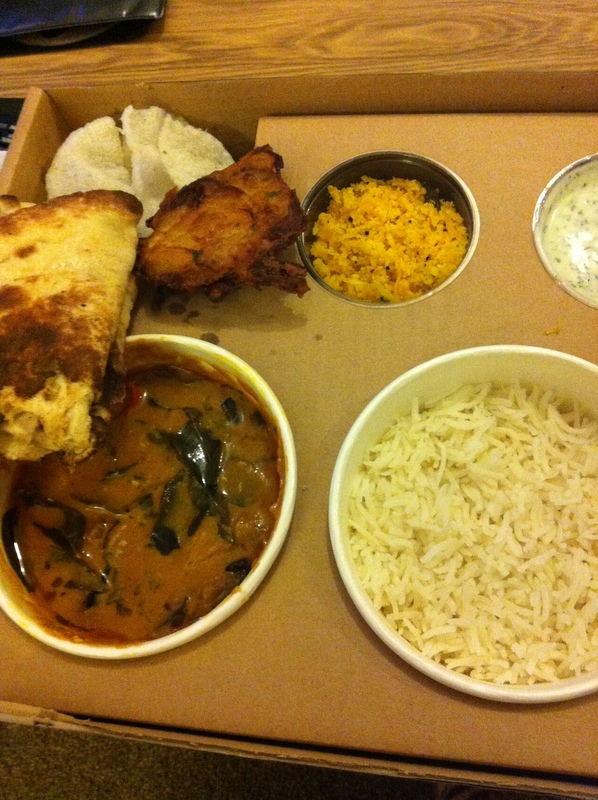 Also nestled in my tray of treats was a thick and rich mixed lentil dal which I love to order purely to load into a naan bread. So comforting and restorative after a busy weekend of hen activities! I love the concept and all the dishes were of such a great standard, that it wasn’t at all style over substance. One of the best Indians I’ve ever had. A real treat. Means I’m going to have to do a big round trip to get my next fix. Maybe next time in their impressive restaurant a stone throws away from the beach. 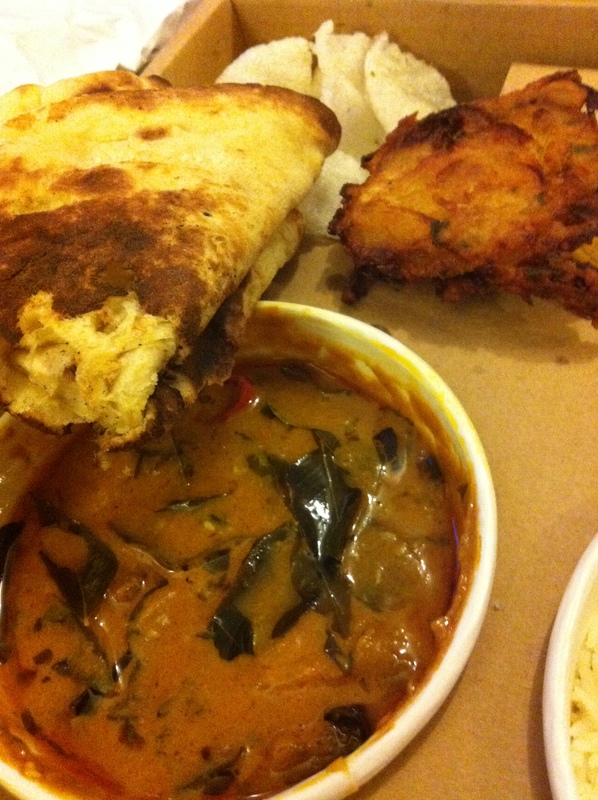 Just adding The Chilli Pickle to the top of a very long list of reasons and places to go back to Brighton for.